All great things often take time. Sometimes to much time perhaps? 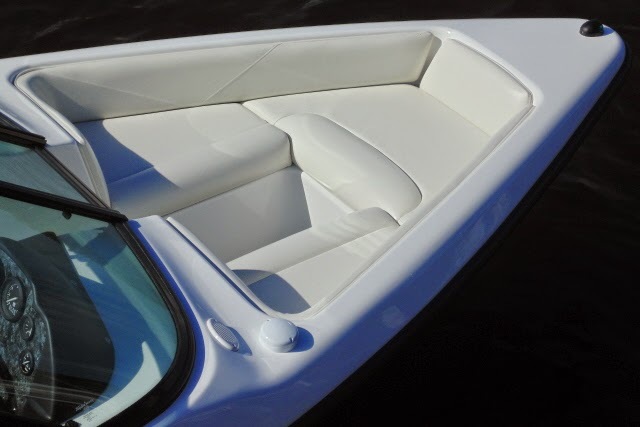 We first offered wrap around rear seating in the 17.6 Closed Bows. I was not perfectly happy with the rear seating so I never mentioned the option unless asked. 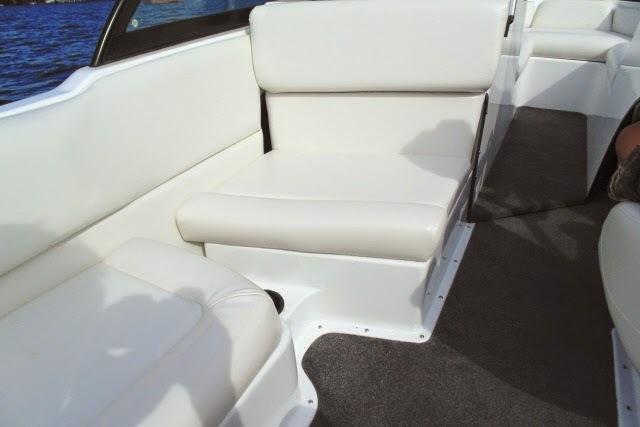 We finally made time to build fiberglass bases for the wrap around seats and did it right. 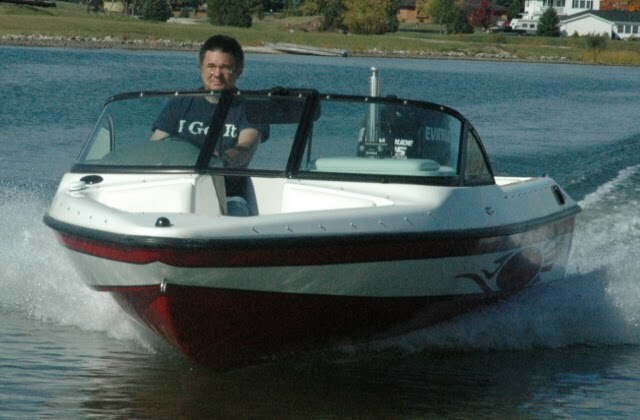 The fruits of our efforts are now available on all models of Dyna-Ski Boats. One thing I noticed about white boats is they look much better in person than in pictures. 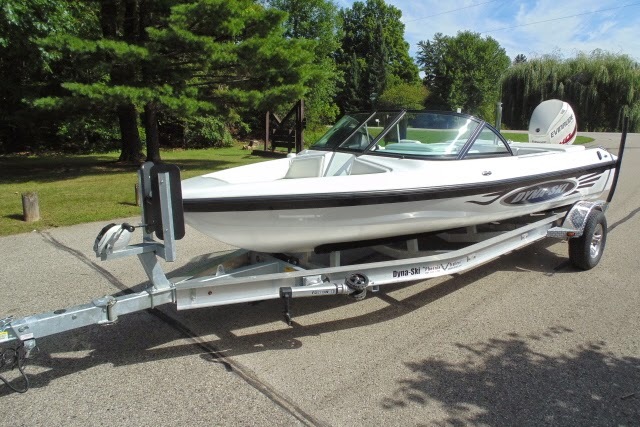 This Dyna-Ski Boat looks awesome. 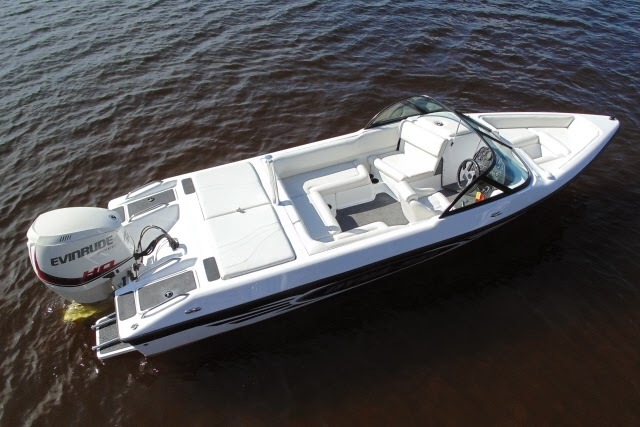 20' Open Bow Dyna-Ski with a single color white interior. 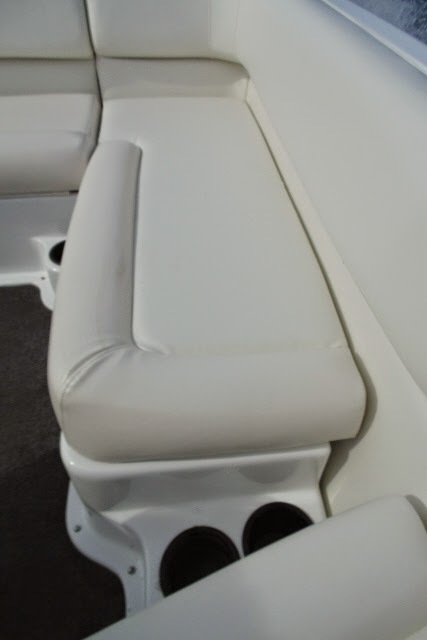 The rear seat as it looks from the passenger bench. 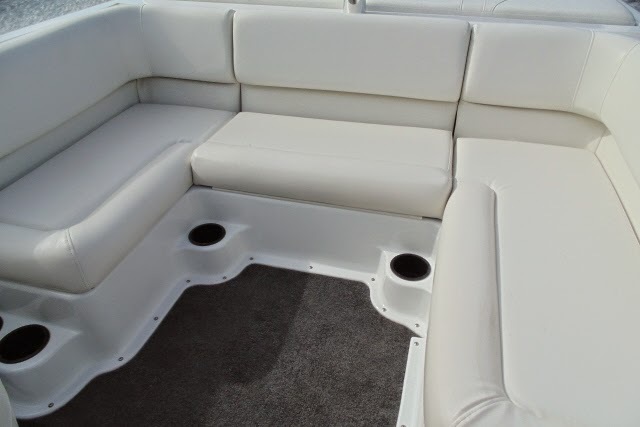 In the 20' Open Bow with the Sun Deck there is so much storage space you will forget where you put things just like my garage! 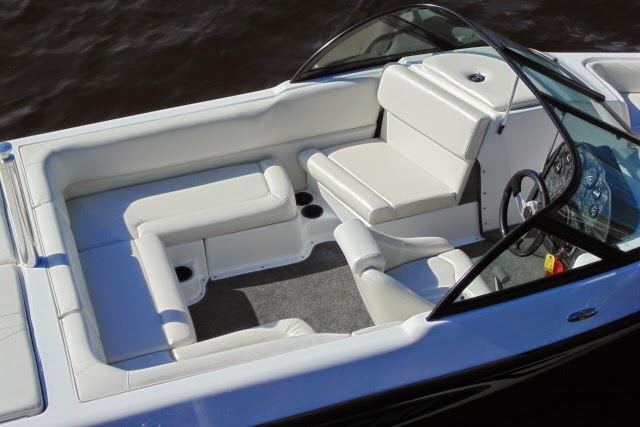 The Open Bow seating is the same on all models. 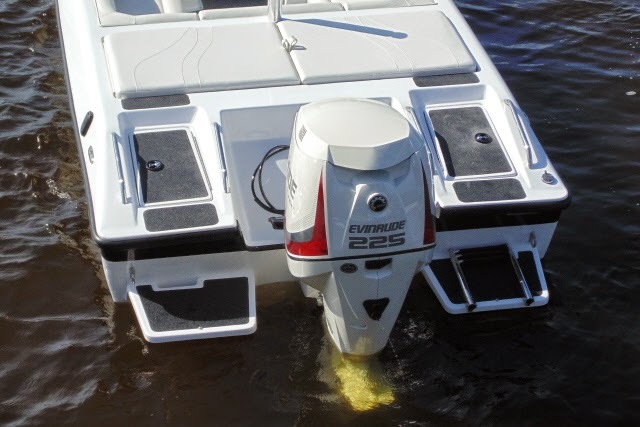 This Dyna-Ski 20' Open Bow is powered by an Evinrude 225 HO. 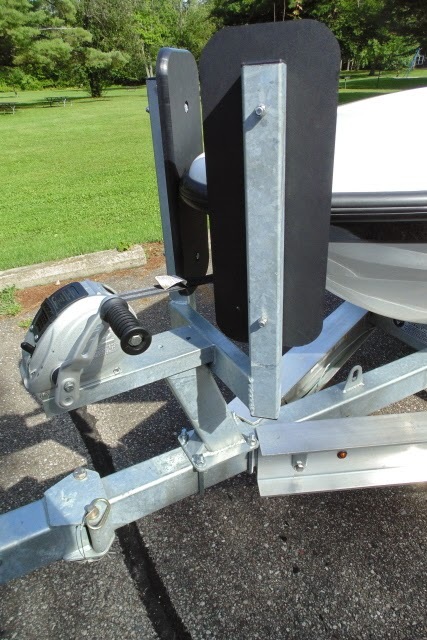 Motor easily pushes the boat at 54 mph with a 4 blade 17" pitch water ski prop. 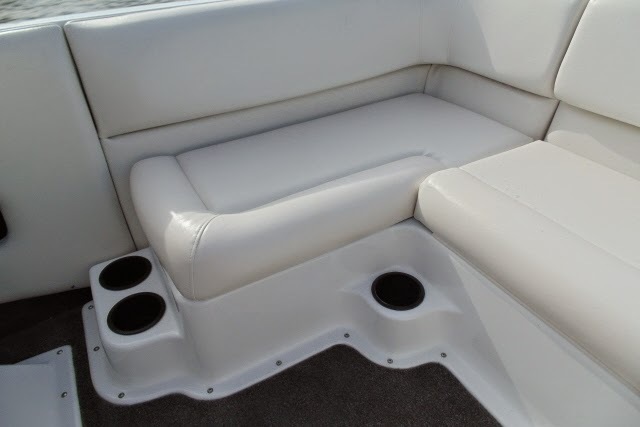 Optional extra swim platform is on the left side. 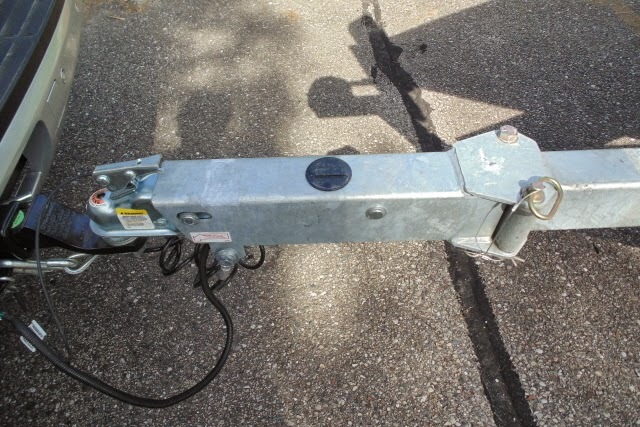 Hydraulic tilt steering, GPS Speedometer, trim, fuel, water pressure & voltage all monitored. 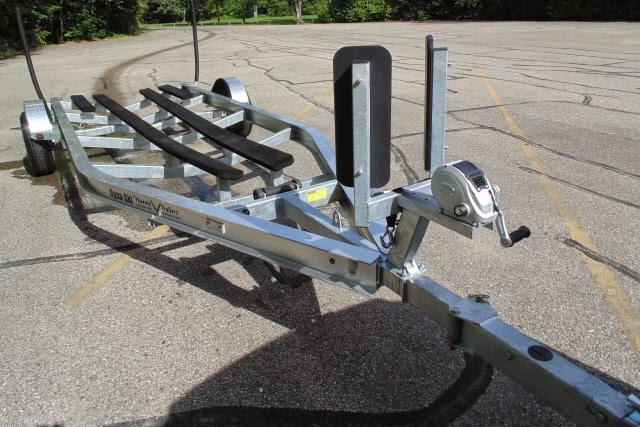 This Dyna-Ski is headed for a salt water user so it rides on a special Phoenix Trailer. 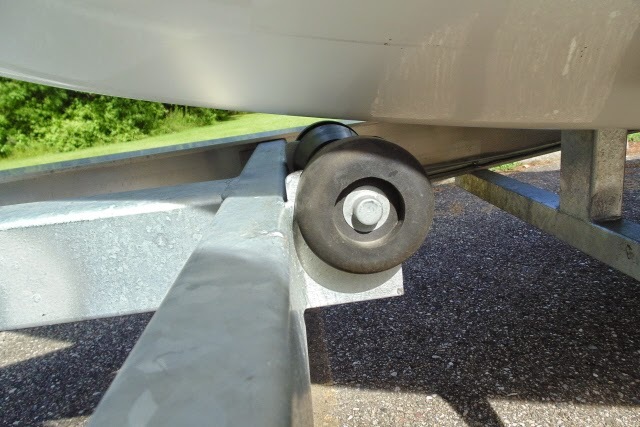 Full length bunks, bow stops, keel roller, swing tongue, vertical side guides, the works! 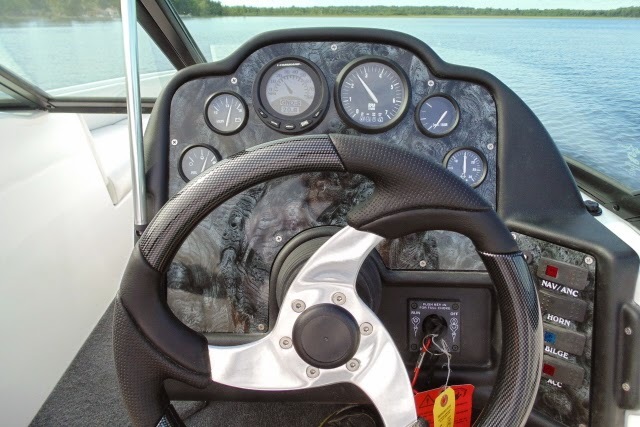 Time to purchase your last boat perhaps?